Not very successful. Irregular low wind conditions. Test got disturbed by ferries. 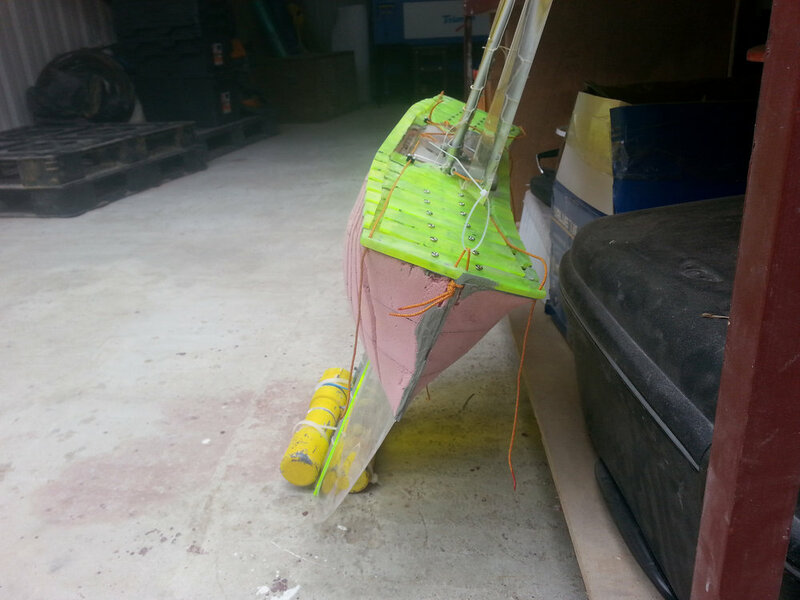 The boat is tough, we launched in the water by throwing it 3 meters above water, without damage. We forgot the batteries (4AA 1.5V) and we could buy a set of batteries at the corner shop - that’s a very convenient battery pack. 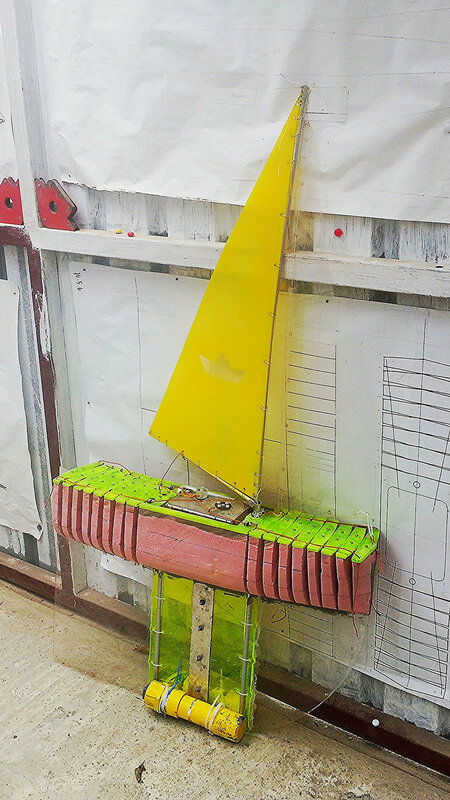 The amplitude of both hull and sails are too small.